- Launched the first-ever Business Incubator in Vietnam, CRC-TOPIC, sponsored by World Bank Infodev. It was the predecessor of TOPICA Edtech Group. 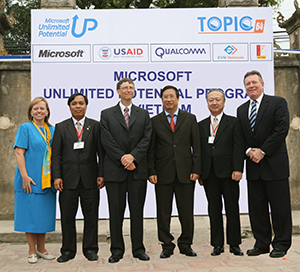 - Vietnam Deputy Prime Minister Pham Gia Khiem and Microsoft Chairman Bill Gates launched TOPIC64, the E-learning Infrastructure Development Program sponsored by Microsoft, Qualcomm, Hewlett Packard, USAID. 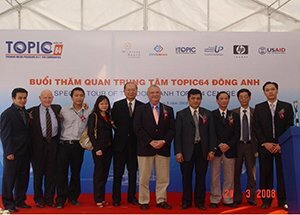 - US Trade Representative Susan Schwab visited TOPIC64 Center in Bac Ninh province. - TOPIC64 Representative along with Deputy Minister of Ministry of Science and Techonology and Mircrosoft, USAID Representative presented about Human Resources Development at APEC Conference. - The Boston-Hanoi online course "Intro to Algorithms" for 30 Vietnamese students, by TOPIC64 and MIT Professor Charles Leiserson, exceeded expectations: taking the same exams, Vietnamese students received grades comparable grades to those of MIT students. 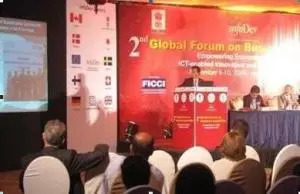 - TOPIC64 selected among Top 7/160 of Development Gateway Award. 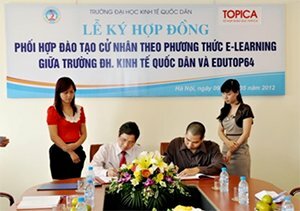 - US Ambassador visited the TOPIC64 Center in Dong Anh District. 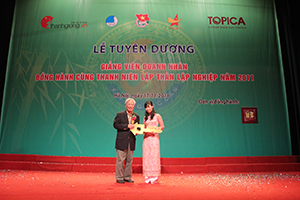 - TOPICA Education Group was established. Its mission is to promote high-quality online education among learners in Vietnam and South East Asia. - Following Harvard, Stanford, MIT and Duke; TOPICA applied 3D simulation technology in teaching. Online students experience "school", "class", "practice" in Second Life environment, built after the real-life university campus. - TOPIC64 selected among Top 4/132 of Stockholm Challenge GKP Award. 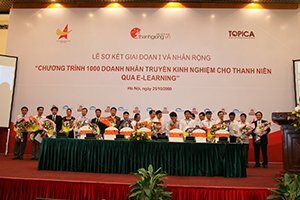 - Launched the "1000 Businessmen to Teach Online” campaign and and the annual award "Best Businessmen-Teachers" with Vietnam Young Entrepreneurs Association and ThanhGiong.vn. The program delivered significant social impacts, including 1,100 successful managers and professional having taught online, and 40,000 students participating in free courses. 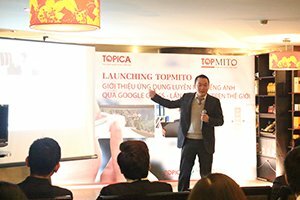 - TOPICA HCMC also launched the first batch of HOU-TOPICA Program. 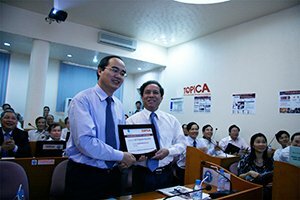 - Vietnam Deputy Prime Minister Vu Khoan received the keys to a 3D virtual house, in Awards Ceremony "Best Businessmen-Teachers 2011"
- TOPICA Founder Institute launched the first batch of "startup accelerator from Silicon Valley"
Mobilized over 1,000 managers and professionals to teach online. Several students enrolled in Topica Uni after holding Master’s degrees. 21% of students had previously graduated from full-time universities, 43% of whom from top-tier institutions. Students in Thailand, Indonesia and Vietnam. Sessions start every hour from 8am to 11pm. 300 modules on rich multimedia self-study material, individualized learning path, zero waiting for the next class. Grads have raised nearly 8 million US dollars in 3 years. Member of the Silicon Valley-based Founder Institute network of 60 cities. Appota: 3rd Prize, Startup Asia Tokyo Arena 2014; Series B raised. Other funded grads: 3S, Antoree, HSP Yton, Morbling, upLevo, vLance. Microsoft Chairman Bill Gates personally launched an early Topica initiative, 2006.